If you want to increase your online presence in the countries of Southeast Asia, you should think about the Magento 2 Lazada integration. Below, we shed light on the platform as well as describe the way you can synchronize your e-commerce storefront with the third-party system. The Magento 2 Lazada connector is proposed as well. 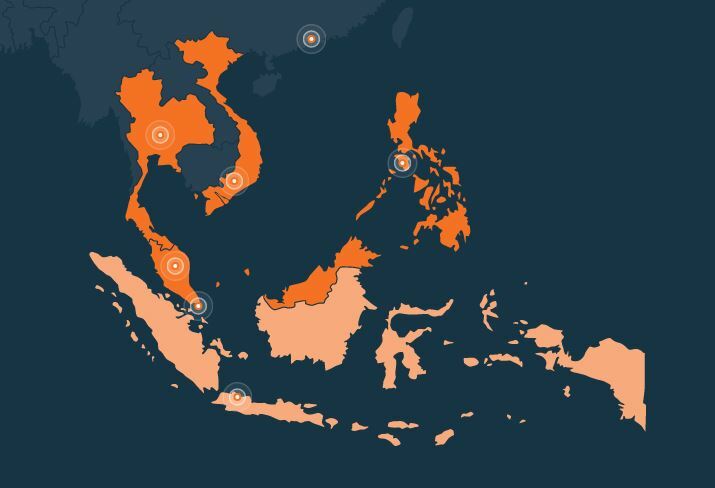 Lazada operates since 2012 and covers markets of the following countries: Malaysia, Indonesia, the Philippines, Thailand, Singapore, and Vietnam. The average volume of shoppers is 560 million consumers. They look for all possible products provided by 3 thousand brands and 155 thousand local and international sellers. Lazada offers 300 million SKUs from all possible categories so that you can find a place for your unique offers. And due to a high volume of customers, you will quickly sell all the goods. Besides, the platform provides multiple payment methods. Even the cash-on-delivery model is available. Other shopper-friendly features include hassle-free returns and various shipping options provided by more than a hundred logistic partners. First of all, it is necessary to choose a category for your product and fill in various attributes for it. Don’t forget to upload pictures since a product page without images leads to zero sales. Also, note that detailed product attributes attract buyers’ attention much better than a basic information. Next, there is a stage of Quality Check (QC) that lasts for 3-5 working days. Then, your products appear on the Lazada marketplace. But what to do if you have hundreds of products? How to provide them to Lazada most efficiently? Thus, you need a reliable Magento 2 Lazada connector to perform the integration. Since we are talking about a marketplace, your connector should support both import and export features to synchronize orders between Lazada and Magento 2. Many feed export tools can be utilized for transferring product data to Lazada, but they are entirely useless when it comes to moving orders from the marketplace to your store. Of course, you can do everything manually, but why should you spend time on a routine that can be fully automated? 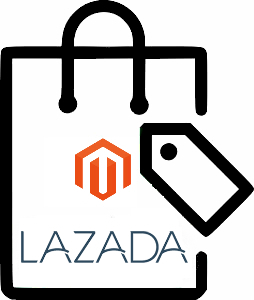 Thus, we recommend you to use an import/export Magento 2 extension to run the integration, and it is not the only requirement to the Magento 2 Lazada connector. Next, your integrator should support various platforms. Choosing a dedicated solution is not a good idea, and there are several reasons to think so. While it is usually a user-friendly tool with lots of predefined setting and full optimization for the specific platform, it leads to multiple headaches when the number of integrations grows. For instance, you want to connect Magento 2 to 10 external systems and have two ways to do so. First of all, you can try to install a dedicated connector for each integration. Alternatively, it is possible to use a single universal solution. The second approach offers lots of benefits. Firstly, you should install only one extension. In case of dedicated connectors, ten installations are required. Secondly, one extension usually costs less than ten modules. Even if it is more expensive, you will save the budget with further installations. Thirdly, you need to learn only one interface instead of ten. Besides, you decrease the load on your Magento 2 system and make the resource consumption much lower. And don’t forget about the reduced probability of conflicts between the installed modules. These are core benefits of using one platform-agnostic solution instead of multiple dedicated modules. If they are not enough, here is the final argument. Chances are, not all the platforms have dedicated connectors. Therefore, you need to install a universal integrator to synchronize your Magento 2 store with them. As a result, the combined approach is used but if you need a universal import/export tool to be used why should you utilize dedicated connectors? Another critical requirement is the automation of backend processes. Some external systems require feed updates on a daily basis. Some platform import data even more frequently – once per hour. Do you want to run the export process so many times? Therefore, a Magento 2 Lazada connector should provide the ability to automate the integration. And there is one more requirement to be discussed: the ability to surpass the difference between attributes of Magento 2 and third-party platforms. Unfortunately, no single standard makes the integration between all related e-commerce systems seamless. You always need to edit the default Magento 2 feed matching native attributes to the requirements of external systems. And manual data editing is a very time-consuming process especially when you need to import/export thousands of products. Considering the requirements above, we can recommend you to use the Improved Import & Export Magento 2 extension. This module can fully automate all backend processes related to import/export, eliminate manual data file editing, and connect Magento 2 to Lazada and hundreds of other external platforms. The automation opportunities are based on cron. If you know the standard cron syntax, the extension lets you create any custom schedule of updates. If you are not familiar with it, there is a list of predefined intervals to choose from. Alternatively, every data update may be launched manually. And you can create different schedules for import and export processes of the same integration. As for the problem with attribute standards, the Improved Import & Export Magento 2 extension easily solves it with the help of the mapping interface. When you configure a new integration, the module provides you with a grid where default attributes of our favorite e-commerce platform can be matched to all possible third-party attributes. Furthermore, the plugin offers mapping presets for some external systems. If there is a preset for the selected integration, you can apply the corresponding mapping scheme within just a few clicks. It is also necessary to mention that the Improved Import & Export Magento 2 extension supports various integration standards and file formats. First of all, you can transfer products in bulk to Lazada using CSV, XML, or TXT formats depending on which one is more suitable. Besides, our module fully supports the API integration so that you can leverage it for the Magento 2 Lazada integration (contact our support for further information). Alternatively, you can establish the connection using Google Sheets. In addition to multiple file formats, it is also necessary to draw your attention to the supported file sources. The Improved Import & Export Magento 2 extension allows moving files to/from your local server. Alternatively, a remote server can become a spot of transfer. Another way to connect Magento 2 to a third-party platform is introduced with the Dropbox support. Use the clod to move data files between your store and external systems. In case of file import, it is possible to use a direct URL. Note that the archived data can be unzipped/untarred automatically.